Cheapest High Priority SMS @ 8 ps | 20000 + Customers in India ! Bulk SMS marketing is the newest form of advertising used by companies an brand to promote their products and services to existing or potential customers via mobile phone. SMS has become an effective alternative to traditional sources of advertising due to the high level of mobile phone ownership in India. Why Marketing through Bulk SMS Service? 25% of Indians have actually participated in some kind of SMS contests. Why Choose Digitrock For Bulk SMS Marketing Services ? Our powerful bulk SMS messaging solutions are suitable for businesses from all industries and any size. Whether it be a SME, corporate company, real estate, government department, educational institutions or non-profit organization our range of solutions are developed with the needs of all businesses in mind. Our great services and support makes us India’s #1 company for Bulk SMS Marketing Company. We understand that SMS marketing needn’t be a text blast with those annoying promotional SMS. As a bulk text messaging software for mobile marketing company, we focus on capitalizing on the intimacy of a cell phone to truly tap the potential of SMS advertising as a means to converse and connect with the customer while offering them value. 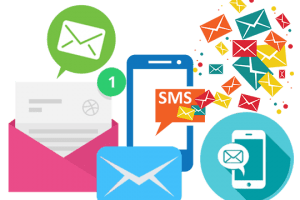 Our SMS gateway API and sophisticated text message marketing software guarantee you not only the cheap SMS rates but also the “real” benefits of SMS mobile marketing. Counted among the best SMS marketing companies in India and the trusted SMS reseller. we make sure the right information reaches the right people at the right time. The smart NDNC filter in the panel sees to it that the promotional messages are automatically filtered for DND numbers accordingly. Check out the delivery report of sent messages in your user panel in real time. It couldn’t get faster. If you can’t measure, you can’t manage! So for your measurement, we give you detailed delivery reports to measure & analyze your campaigns. All of our bulk sms marketing plans comes with lifetime validity. So you can use the credits whenever you want. Messaging to all your contacts is very easy with a phonebook feature in our panel that allows you to create multiple groups as per requirements.